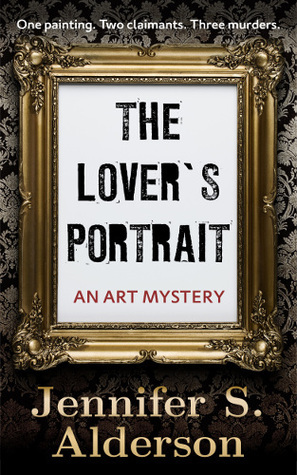 The Lover’s Portrait: An Art Mystery had me excited from the get-go. I have been reading a lot of art books lately—just sort of fell into it, and I have always loved a good mystery. So this novel seemed to be the best of both worlds. It is set in Amsterdam, so my Vermeer meter was on high. Turns out no Vermeer, alas, but the first two chapters hooked me immediately. The first chapter is a murky and mysterious flashback of artwork being hidden during WWII. The next chapter brings us to current times and Konrad Heider, a secretive man who is fruitlessly but lovingly continuing the search for his late uncle’s stolen art collection. As with many novels referencing WWII, the tone is often melancholy and bittersweet. So much was lost. While many novels focus upon the human loss, and it was disastrous, there is yet another aspect of loss: important and irreplaceable art and architecture. This novel focuses upon returning recovered artwork and the trust, love, and hate inspired by the desire of possession. We learn of the difficulty involved in providing evidence to claim recovered work, and it is intensive. Getting a mortgage is easier. And there is something in art that can spark a special greed: the desire to have something so precious kept just for oneself. Fortunately, many collectors want to share the joy of viewing and considering a fine work, and we have well-endowed museums. But what happens when a museum acquires works without established provenance and donation? Hence the plot premise that the Amsterdam Museum is running an exhibition in an all-out effort to locate owners of recovered art. From this, two plots build upon each other. The first centers upon matching the works using scholarly research and provenance to true owners, especially when there are multiple claimants, not all of whom seem quite in the right. In the second plot, keeping one’s word and upholding the responsibility of protecting artwork is weighed against self-preservation and family. The plots mirror when characters have to determine to what lengths they will go to obtain or preserve possession and to consider means and ends. The reader's opinion is definitely courted. The novel provides fodder for the discussion of who deserves to “own” art? And it is worth considering. There may be artists who choose to keep their works and sell a few pieces to cover life's expenses, but most are hopeful of an appreciative audience. Throughout history, artists had patrons, who allowed the artists an opportunity to grow their skill and refine their style. But that meant that the very rich, and usually noble, had the lion's share of works. There are those unfortunates who were not appreciated in their life time, such as Van Gogh, and whose artwork did not see much light of day. With Van Gogh, his works went to his brother's widow. Thankfully, she had PR skills and Van Gogh's artwork came to prominence over time. But had she not been married to Theo Van Gogh, what then? As it is, Van Gogh's paintings are very, very expensive, if not invaluable. Museums hold lavish fundraisers, and major (and very rich) families have members on museum committees, so in a sense what is purchased, displayed, and made available to the public is "curated" by the wealthy. Sometimes the works were pure investment purchases, and others were tasteful acquisitions. Suffice it to say that while the general public may have access to view selected pieces of art, how many of us have the means to have legitimate pieces in our homes? What would it be like to have a real piece of artwork hanging over our couch? Do most people really know how to look at art? An even bigger ponder-moment is how much artwork has gone by the wayside because the artist had no Theo or Jo Van Gogh? One of the most endearing points of The Lover's Portriat is the consideration of why an artwork may come into creation and the personal, as well as artistic, value that work possesses. Value means different things to different people. At the heart of this novel is a worry over which claimant is most deserving rather than who may have most legal right, and I don't want to use a spoiler alert, so I will say nothing further than we do become emotionally invested in a particular painting because of its subject matter rather than monetary worth. Our desire to see this particular piece come home keeps us turning the pages. The story really gets going when we are introduced to Zelda, a hopeful arts program candidate, who begins a disappointing internship at the Amsterdam Musuem. She hopes to parlay her internship into an arts program acceptance. But, rather than being directly involved in an historic effort to reunite art to the true owners and help set aright some of the Nazi era damage, Zelda is relegated to proofing translated American English text for the Stolen Objects exhibition catalogue. There is a subtext, if you will, about the value of being multilingual and how even a proficient translator can go awry with national vernacular. But to return to the novel, some characters evidence rather strong Nationalism, which underscores on a far different and limited scale the very effects of Hitler's, shall we say, lack of international appreciation. Enter Bernice Dijkstra, the project manager for the exhibition and Huub, a senior curator and key exhibit organizer. Bernice is a great character who brings level headedness and professionalism to counter Huub Konijn's insularism and personal baggage. The interplay between these two creates part of the tension in the novel as policy and passion duke it out. Anyone who has ever been caught up in office politics will feel Bernice's headache. Major intrigue enters when two claimants vie for a seemingly inconsequential painting that has a storied past and may prove valuable far beyond its subject matter and artist. Bernice and Huub spar as much as the claimants. Zelda, meanwhile, goes rogue. Combining passion and intellect, and pretty sturdily bending some rules, she embarks on the finding the truth. The plot is engaging and there are some good, believable twists. A point in favor of this novel is that the author has good control over her plot threads. The novel moves smoothly between omniscient flashbacks and the limited omniscient present. Another is that the author lays out most of her characters’ traits and develops them, such that when events take a turn, it is usually in keeping with the character involved. But there is a bit of a thorn here, and that is the main character—Zelda. She has a textbook case of rationalization and sometimes loses a bit of appeal this way. Her actions are sometimes heedless and create greater problems, but hey, if she wasn't so driven, there wouldn't be much of a plot. The novel provides thoughtful, engaging reading that keeps you eagerly following past events and present predicaments. Tying back to the art background connection, Zelda shares with the reader her knowledge about paintings hidden beneath paintings and WWII lost art lore. These bits are quite enjoyable and interesting. It is clear this novel was authored with the same love and passion for writing that Zelda exhibits for researching art. The Lover's Portrait creates both respect and delight. Sign into Goodreads to see if any of your friends have read The Lover's Portrait. Thank you so much Reading Fury for your honest and in-depth review of the ARC copy of my book!